In order to stay safe, the first safety tip is that you must be able to master the use of the remote. The remote is a very important tool that helps you to open or close a large garage door with just a push of a button. There is a lot of excitement involved with remote control if they end up in the hands of kids and this can be quite dangerous. Even though their intention is just to help you to open the door under your watch, the joy that comes with pressing the button is likely to push them to test the same when you are not there. The kids are likely to forget and press the button twice as they play with the remote and this can lead to serious consequences. It is therefore advisable to keep your remote away from kids and resist the begging calls to use the remote until they are old enough to understand how it operates. The garage doors openers have been designed with certain safety features to protect both kids and adults from getting hurt. Some of these features are not self-evident and may require you to spend some time to study and understand them. One of the safety features is the emergency release feature. 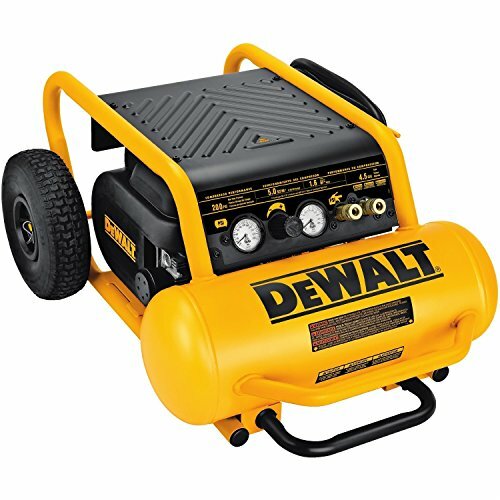 This feature can be used to manually disconnect the motor, especially when there is some form of malfunctioning involved. In most cases, this feature will come as a ripcord with a red handle. Understanding where this feature may help you operate the door in situations where there is no power. You should always do some test runs to familiarize yourself with the working of these safety features. There are moments where you have driven your car out of the garage and then remember that you forgot something therefore basic safety precautions related to garage door would be really helpful. The temptation is usually to go back, pick up the thing, and press the close button as you rush out of the door. While you may be able to safely get out without any serious consequences, it is one of the things that must be avoided by all means. As you walk through the moving door, a single mistake can happen and cause you to be seriously injured. Some oil patches on the floor or even untied shoelace can cause you to trip right under the closing door. This habit also sets a bad example for kids and they are likely to emulate such actions in future. You should also avoid entering the door that is opening. Such an action may confuse features such as the safety motion sensors to stop or even reverse the opening act which can lead to serious injuries. Once you initiate the opening or the closing process, it is good to train your focus on it until the action is fully completed. This will help you monitor any movement involving pets and kids towards the door while it is in motion. It will also help you confirm that the door worked and opened/closed properly. You don’t want a situation where you have already left and later on you discover that the door got stuck halfway as it was closing. It is important to exercise some patience and wait for the action to be completed to minimize any safety concerns. As part of the maintenance process, it is always good to give your garage door, as well as the lift mechanism, a regular inspection on a monthly basis. Components like the door springs play an important role in bearing the load and need to be checked to ensure they are strong enough to do their work. The door itself also needs to be checked to ensure there are no rusted and sharp edges that can be harmful to people or pets. There is also the pull-system that needs to be checked to ensure it is in good shape along with any movable parts that need to be properly lubricated in order to make the garage door to be less noisy. If there are any parts that need to be adjusted, ensure you hire a trained professional to do the job. Please, do not attempt to change anything without the supervision of a professional because it may result in serious injuries. Apart from the monthly visual inspections, there is also the need for a monthly test on the door’s reversing mechanism. Garage doors have been designed with safety features that helps it automatically reverse the closing process if it encounters any obstruction. You can use something like a paper towel roll to see if the door is able to detect any obstruction during closing. The good thing with a paper roll is that it is soft enough and won’t offer much resistance to the movements of the door. A properly functioning mechanism will reverse the closing action once the door touches the roll. Most garage doors are equipped with a rolling-code technology programming your garage door opener which in-turn enables regular changes to the codes to prevent any unauthorized access. If your door doesn’t have this technology, the least you can do is to change the factory codes for opening the door. This will protect you from thieves and unsuspecting entry into your garage. If your neighbor has a similar garage door like yours, it is possible they have the factory codes for accessing your garage door. As mentioned above, for your regular monthly inspections and tests, it is important to get in touch with some professional garage door repair service provider at least once in a year to perform regular maintenance checks. This helps to pick minor issues that may not have been discovered during the monthly inspections. Check on the services offered by your contractor as some of them have regular maintenance programs. Such programs will pick out small details that need to be corrected before they become serious and potentially harmful issues. This will save you cost and address any safety concerns about your door. 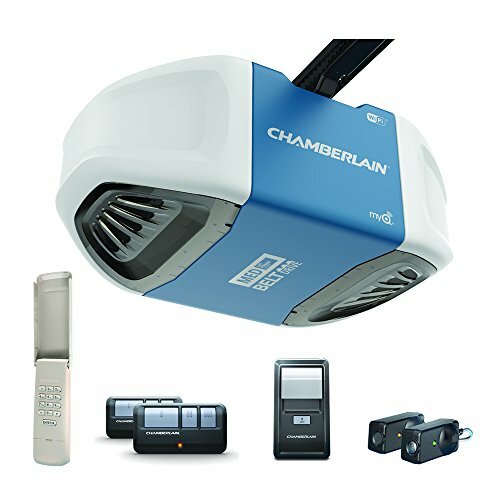 Having an organized garage is one way of enhancing safety and main reason of getting garage door opener. There is always a temptation to keep hazardous chemicals and equipment in the garage. Although the garage may be the safest place to keep them, you need to keep them in a locked place where kids can’t easily access. Some of the equipment like sporting gear may easily cause tripping if they are not properly arranged. It is therefore important to designate spaces within your garage where to store things to minimize accidental tripping and falling. Dangerous tools like hedge trimmers need to be stored away from the reach of children. 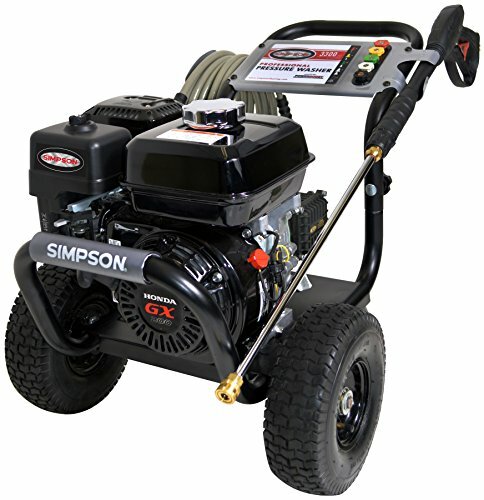 For more of the reviews about other variety of best brand tools including high quality pressure washer units as well all on our website.